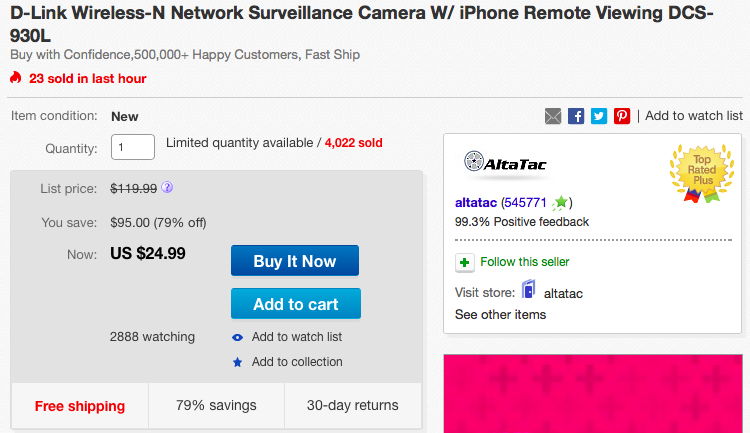 Altatac via eBay Daily Deals offers the D-Link (DCS-930L) Wireless Network Surveillance Camera for $24.99 shipped. This is a savings of $95 off the original price, $6 better than Amazon’s listing and the lowest that we can currently find it. This camera is rated 3.4/5 stars and is the best-selling home monitoring system at Amazon. 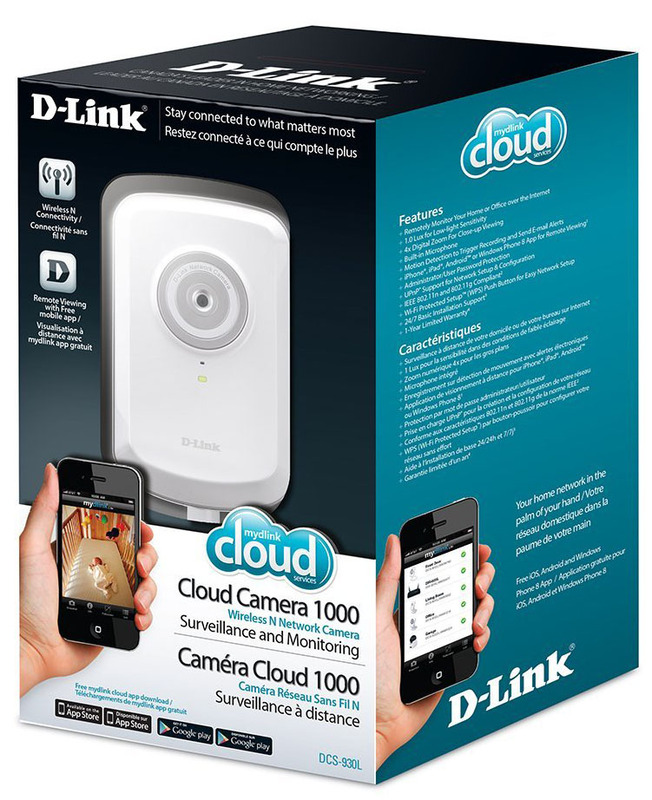 The D-Link DCS-930L features 640×480 resolutions at 20 fps, is wireless with 802.11n networking, can be connected to up to 31 other cameras for a whole home solution, and is accessible via the iOS or Android app. Next up, Newegg has the TRENDnet (TV-IP851WIX) Wireless Day/Night PTZ Cloud Surveillance Camera for $69.99. 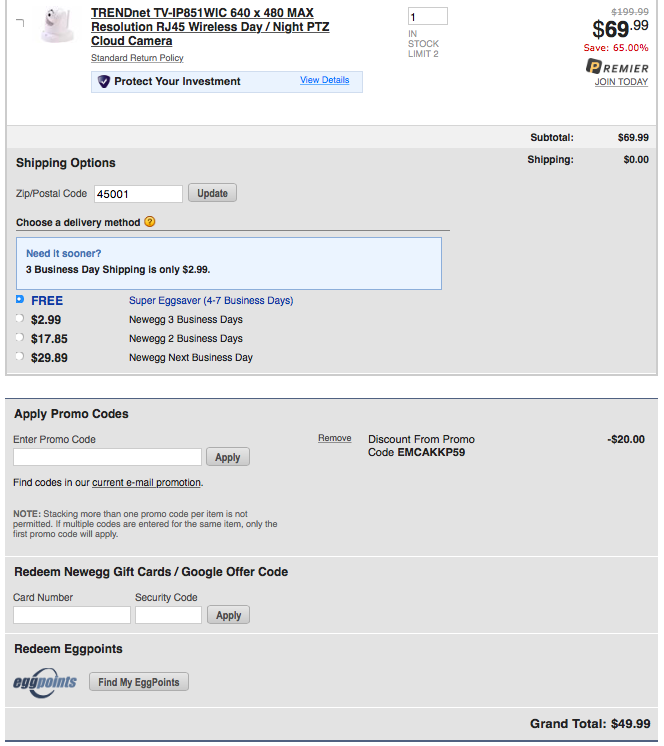 Coupon code EMCAKKP59 brings the final price down to $49.99 shipped. 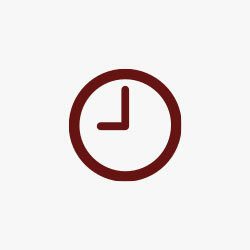 This is a savings of $20 off the regular price and the lowest that we can currently find it. Features of this TRENDnet wireless surveillance include infrared night vision, 640×480 Resolution at 20 fps and 4x digital pan/tilt zoom. 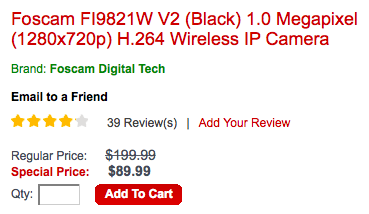 Additionally, we spotted the Foscam FI9821P 1.0 Megapixel Wireless IP Camera for $89.99 shipped direct from the manufacturer. This is $110 off the regular price and the best price we can find.